Good Morning — It is june 29, 2013 Saturday — BUT is that the same day as the rest of the world? I received not a single answer to yesterday’s question — Come on folks — I want to know! 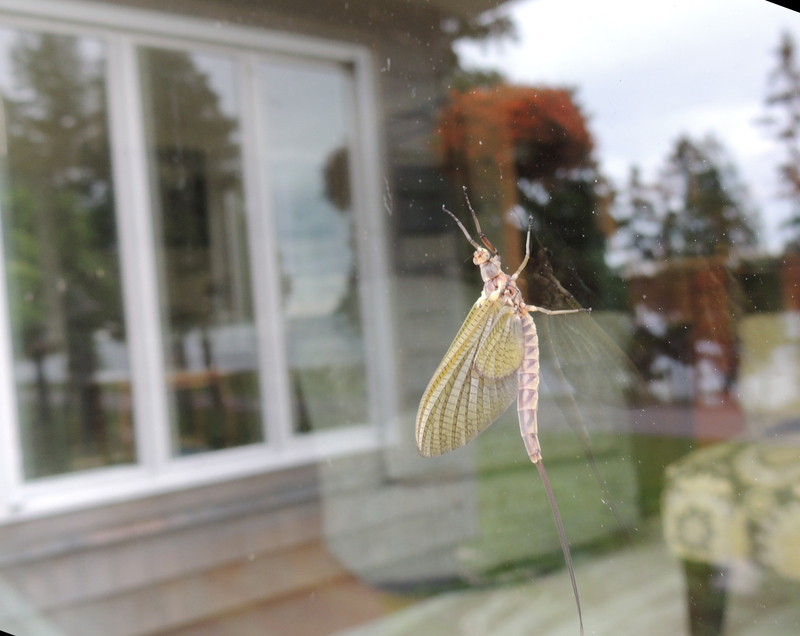 Thousands of these little critters emerge from the mud in the bottom of the Bay and float to the surface crawl out of their cocoon – spread their wings– and immediately get eaten by a jumping fish or seagull — or escape and land on our lawn, house or windows — do not stand still or they will land on you! 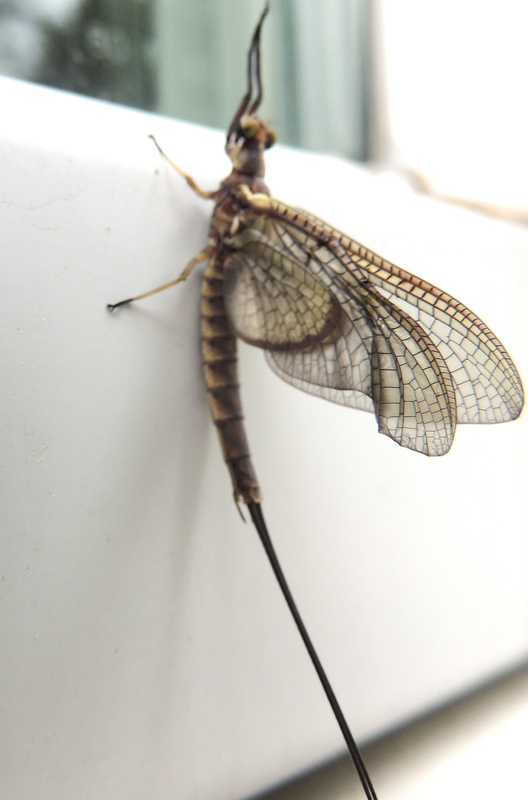 In contrast to mayflies, which are small and live only 24 hours as adults, Fishflies are quite large, eat aquatic plants as well as smallish animals including vertebrates like minnows and tadpoles, and may live up to seven days as adults. Their entire lifespan is several years, but most of this time is spent as larvae. I think the seeds were lying dormant for many years – including the seeds for this one which I found while mowing — It is on the endangered list in Ohio at least — My friend helped us identify it: Can you identify it? Well, l must go wash windows, paint barn, mow, weed, repair chairs, maybe put our little fishing boat into water, train Perla, wash truck, much more I will not bore you with — might not get it all done today or even by next month — but I already did have a great breakfast — Grandma said I was to ask if any of you had the same things for breakfast — So did u? Oh what was it — Coffee, V8 Juice, and a banana split with walnuts, black cherry ice-cream and honey! Very good! We shout to you all — HAVE A FUN DAY!